Nancy: It hit me that I could do a countdown to my book launch and post a different pink dress every day for fifty days on Facebook. I wrote a couple of sentences about each dress and why it was iconic, but I always included info about my book, too—usually providing a link to a bookseller. Within the first two weeks, the campaign went viral. I started out with 600 "likes" on my author page, and by the end of the fifty days, I had over half a million people looking at my pink dresses—and seeing info about my coming book. My publisher jumped on the bandwagon and bought some FB ads, and we were careful to steer viewers to booksellers where they could pre-order books. Before the book was published, the publisher knew they needed to print more copies, and we also knew how many ebooks had been pre-ordered. My local bookstore received many orders for autographed copies. It all meant that No Way to Kill a Lady came out of the gate a Bookscan mystery bestseller (and stayed there for six weeks) and the sales of hardcovers and ebooks were better than I—or my publisher—anticipated. The main lesson I learned? My readers enjoyed the pink dresses. By using FB analytics, I could see who my readers are—their ages, where they lived—and I was making them happy with pink dresses. Writing rule: Know who your reader is. Be as specific as you can, because if you can narrow down your audience, you stand a better chance of reaching them. But that was last year. The FB rules have since changed. Now I must pay a "sponsorship" fee to reach the "likes" I've already built. This is okay with me—FB has to make money somehow. We're all in the business of sales. But constantly changing business models mean we must all be nimble. Writing rule: Stay informed about the business. 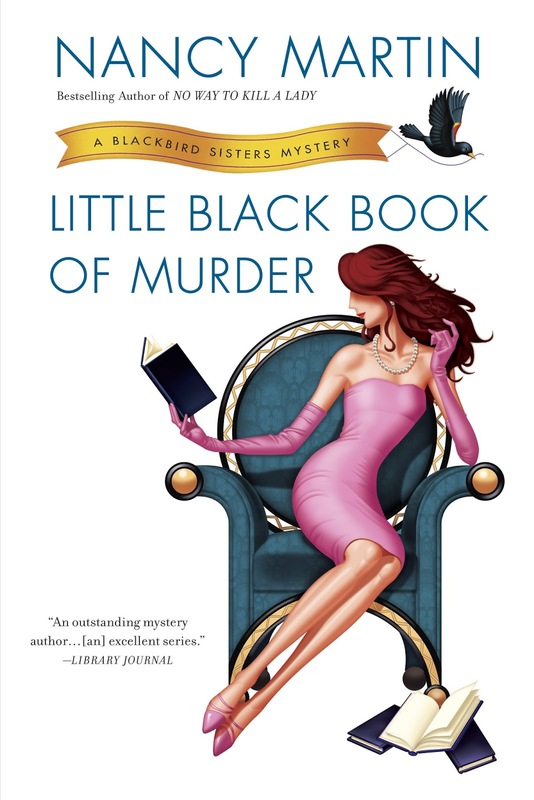 Kathryn: Tell our readers how you reinvented the campaign for Little Black Book of Murder? I've loved the results! The title is great—now that you've really settled into the branding, has it affected the way you conceive the books? 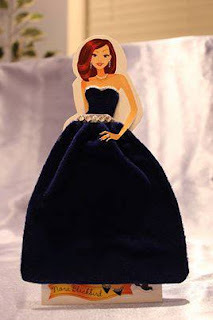 Nancy: This spring I was casting around for an idea to promote my August release, Little Black Book of Murder, and a friend suggested paper dolls because my readers obviously like fashion. My Penguin editor had mentioned paper dolls a couple of years ago, but the idea didn't grab me as feasible. I don't have an assistant, and my children---so helpful when they were in high school!--are no longer available for office work. This time, I thought I could make it work on Facebook. In May I worked with an enthusiastic graphic designer to create the dolls—we went back and forth for several weeks about what each of the Blackbird sisters should look like—and she took care of ordering the die-cut dolls. (Which also function as bookmarks, by the way, with all the info about my series printed on the backs of each sister.) Yes, the dolls turned out to be adorable! You may love the results, but they were not nearly as successful as the Fifty Shades of Pink campaign. Another writing rule: Don't let promotion interfere with the writing. Also: I'm not sure I paid close enough attention to my demographics. My readers are primarily women between the ages of 40 and 65. Women who are too busy to jump through a lot of hoops. The process of participating in the campaign was too complicated. My previous campaign required nothing of anybody--except clicking to buy my book. But to get the paper dolls, readers had to go to my website, send me their address, and I had to package up the dolls and make many post office runs. Then the reader had to create the clothes, snap photos and post their photos on my Facebook page, etc. It was all too complicated. My readers have busy lives with no time for all this back-and-forthing. Would I do the paper doll thing again? No. But it was fun while it lasted. We will know in another week if our efforts were successful. Please leave questions for Nancy! Just don't ask her how her campaigns have impacted sales—you'll have to check tomorrow's final installment for that one. Great posts, Kathryn! I LOVED the Facebook idea. Made the wheels in my head start turning. I am learning a lot from this series. Much obliged! This coincides perfectly with one of my own blogs about using Social Media for marketing. The emphasis has to be on SOCIAL, and the pink dress campaign is a great example. Engage your followers! Terry, you're so right that being SOCIAL must be key. Writers have to find a way to interact with readers that is fun and a true give-and-take. It's community building all over again. Can I confess here that I have stopped responding to friend requests from people who use their book cover as their profile picture and/or they're clearly trying to sell me something from the get-go? As a consumer, I don't want any more advertising. But I do enjoy meeting like-minded people who have interesting things to say or post. I will also confess to being very amused by the Debbie Downer authors---those who gripe all the time or post the woe-is-me stuff. (Yeah, I posted about my root canal this week, but I think I was funny about it.) Most of them I unfriend, but some I just hang onto for the entertainment value. I mean, how low can they go?? They're the people you avoid at the cocktail party, so why listen to them drone online? Wait, did I just say that out loud? I'm not saying you should hide who you are. But if you're a sourpuss, maybe FB isn't your best marketing venue. I'm always amazed at authors (some of them rather well-known) who gripe about their readers for one reason or another. Like the audacity to point out typos... just say thanks and let it go, and probably they'll buy the next book. Sandy, Diana, and Terry—I'm so glad it's tickling your marketing imaginations! I know that mine thus far has been rather mirthless. It needs all the tickling it can get! I believe that today is the day Nancy is traveling to eastern PA to promote her new title so any comments from her may be delayed. I should also add that one of the reasons the pink dress campaign was a winner was that everybody knew it had a limited life. Because it was a countdown, readers recognized it wasn't going to go on forever and get boring. Communicate that your campaign won't become a yawn. Escalate the entertainment value as it rolls along. Show that it'll be over soon, so readers should pay attention while it lasts. Nancy, that's an important point! Numbers are very powerful on a psychological level, and how they relate to given themes. For example, 50 Hours of Exercise... doesn't sound fun at all. LOL. I hit the road at noon, Kathryn. So I have a couple more hours. If you could all help me decide what to wear this weekend when I'm visiting bookstores, I'd be very relieved! I think it's hilarious that you and I cross-posted. Oops! Thanks for sharing what worked and what didn't work as well. Creativity! I had the half-thought of asking, Nancy, if we should give away a book or some paper dolls as part of this series - and then immediately thought of the drawing, contacting, mailing... we are SO not into that stuff at the BRP. I can really relate to the HUGENESS of that mail promo. 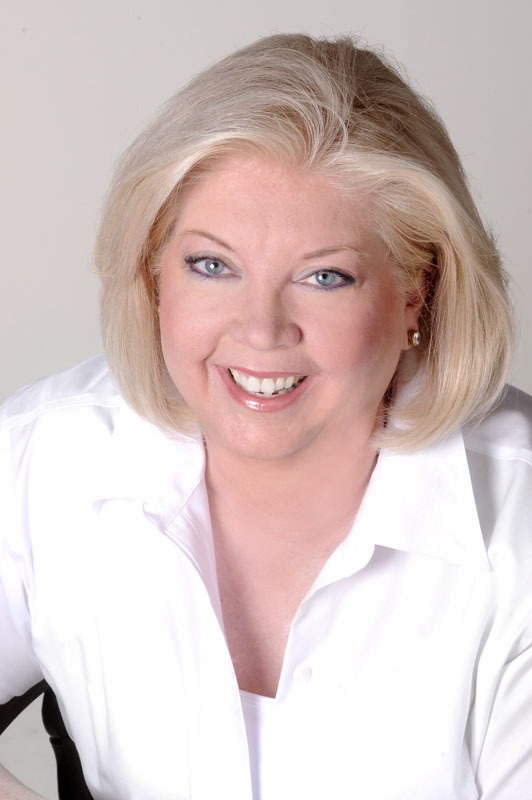 Linda, I am a reluctant marketer too. But there are various comfort levels. I think fresh ideas often work--over the same-old-same-old. The personal is better than the general. Try something wacky and see what happens. If it's cheap and not too time-consuming, it's no biggie to terminate a campaign that isn't working. But "new" is eye-catching. So go for it! Nancy, I hope your personal appearances today were satisfying!